I, 3DO Kid, last of the great 3DO Fanboys, (until Lemmi turns up that is!) stand accused of rose tinted goggles. 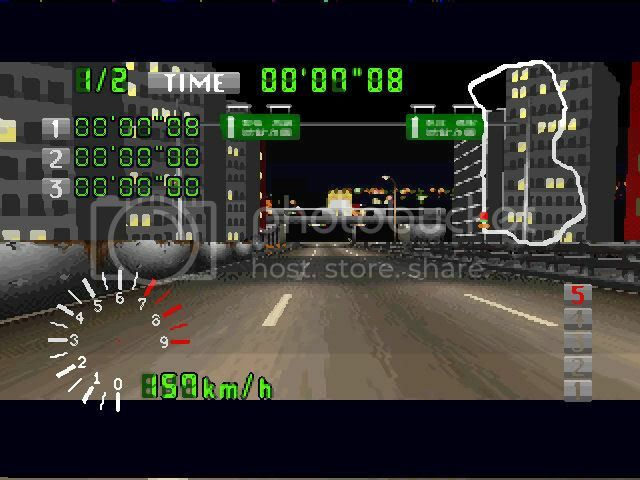 When I suggested Special Stage Route 5 on the PSX looks a bit like the night track on Autobahn Tokio. 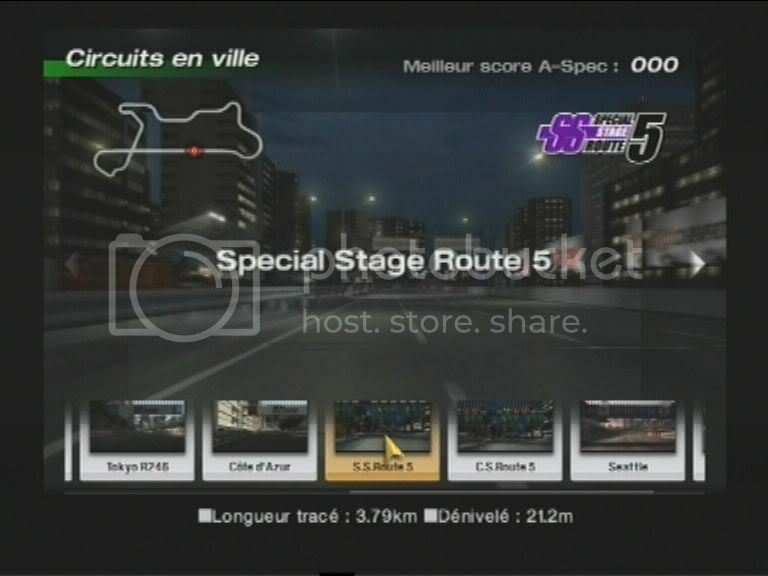 Special Stage Route 5 - PSX. Well, I see a road and some buildings but that's about as far as I can see any similarities! C'mon chaps. You're pulling my leg right? The whole tone. The graphics. The Barrier. The shape of the track - Autobahn Tokio track is the alpha release of the GT track ... trust me on this. No, the PSX game clearly has a hard shoulder lacking from the 3DO version! I am bidding on this game right now, so hopefully I can do a direct comparison soon. Any ideas what this game fetches? What is a fair price? Anyway, I happen to agree that there is more than a passing resemblance. Trev wrote: I am bidding on this game right now, so hopefully I can do a direct comparison soon. Any ideas what this game fetches? What is a fair price? Anyway, I happen to agree that there is more than a passing resemblance. I got a copy recently. Ahem - don't look into that too hard - when did I cover it on my blog? Anyway, awkward questions aside I parted with £20.00 which is £40.00 US. Up until then I hadn't seen one on UK ebay. Yahoo.co.jp has a few copies nearly all the time - but getting them to the UK for the right price is the issue. Games that go for a few Yen in Japan command silly US and UK prices. Well so much for my direct comparison cause I didn't win the auction I still think the 2 games look quite a bit alike though. I also lost my bid on the Sanyo baseball title too (forgot the name already) Just not my week on Ebay I guess. I lost that bid too, was it anyone on here that got it and if so, is it any good? It's supposed to be better than the EA baseball game, so I've heard anyway. Good question. I have never seen a review for this title ... maybe 3DOKid could help? All I remeber is a preivew of it in an issue of 3DO magazine. I like Virtual Stadium Baseball, but I'd love to add another baseball game to my collection. I never managed to get hold of copy. I keep meaning to do another sweep of Japanese games.